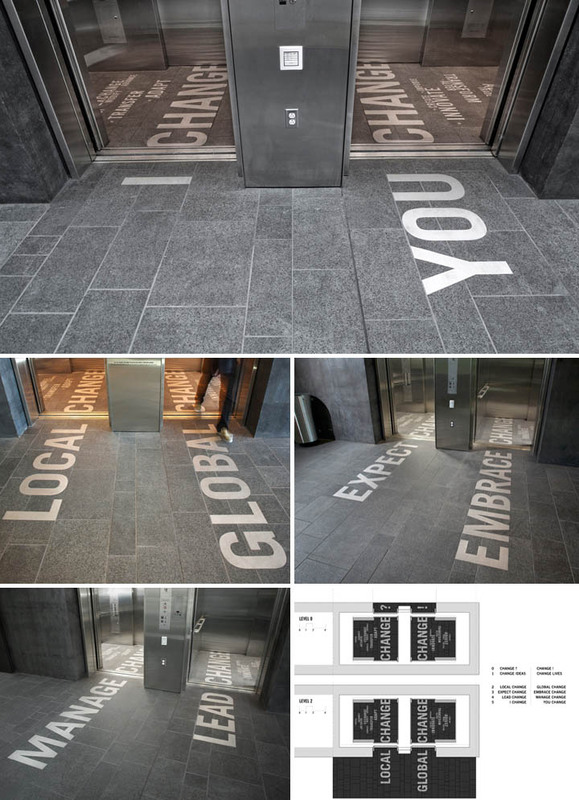 Two interesting permanent typographic art installations were recently created for the Foster School of Business, part of the University of Washington in Seattle. The two installations are collaborations between designers Kristine Matthews and Karen Cheng, both on the faculty at the University’s School of Art. Change reflects on the dynamic relationship between business and change. 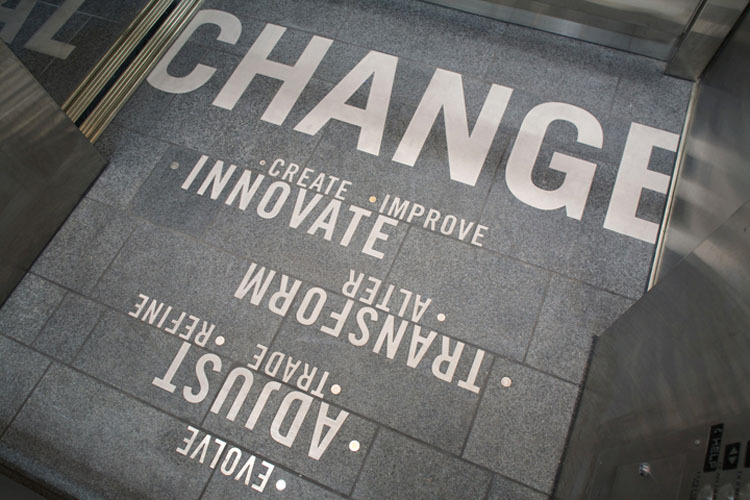 The word “change” appears on the floor of each elevator, along with 18 synonyms (adapt, innovate, transform, etc.). The synonyms are each highlighted with actual loose change, international coins that hint at the diversity of the UW Foster Business School as well as the global nature of business. The second installation, Business Is..., asks how do you define ‘business’? Viewers are asked to respond to the open-ended question “Business is…” on a companion website, www.FosterExchange.com. 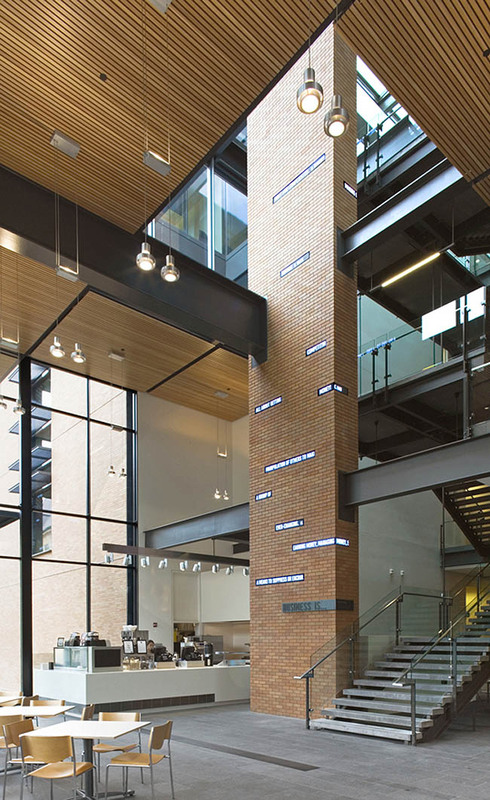 User responses appear on a series of LEDs that wrap around a four-story-high column. The monitors also display real-time stock market openings and closings, predictions, and even advice for students who meet and study in the atrium below. Both installations are innovative, interactive, beautifully integrated, totally engaging and fun! I’d say complete successes through and through. This entry was posted in Architecture, Art, Fun, Interaction Design, Stuff We Like, Typography. Bookmark the permalink.